Transforming the world’s largest pet adoption site from a catalog of needy shelter animals to a place where best friends connect. Millions of pets enter animal shelters each year. Less than half of them get adopted. 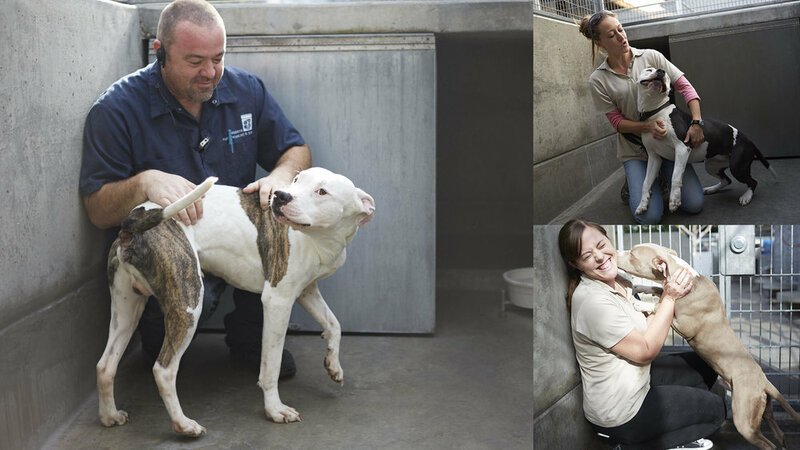 Sad music, dirty cages, and guilty pleas are not motivating enough people to adopt pets. People care more about meaningful connections. Shift the focus from “the moment of rescue” to “the long happy life” of people and their beloved pets. Petfinder’s logo is the first thing people see, so we designed a logo that instantly communicates the idea of connection. Unbroken lines in a fluid type-face illustrate the inseparable bond between pets and people, while a hidden pet face nested in the center symbolizes that the perfect pet is out there if you take the time to look. 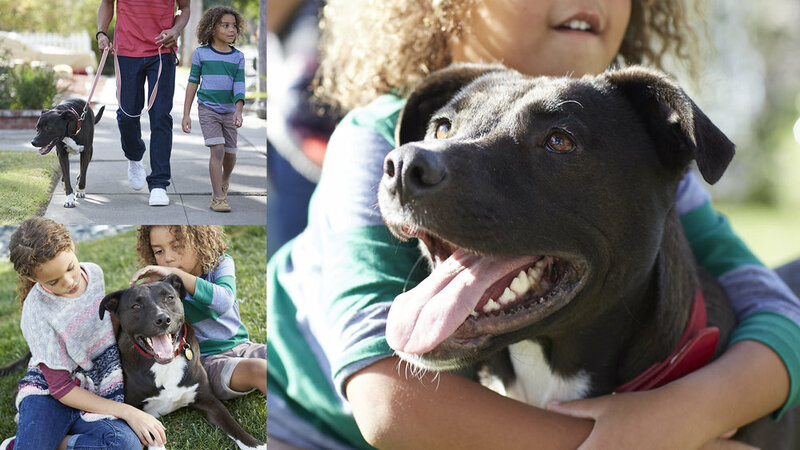 The new logo appeared in millions of searches, social posts, expos, and videos, showing people around the world how seamlessly adoptable pets fit into our lives. We also integrated the same visual motif into a custom icon and illustration library. Candid custom photography featuring real pets with real people painted a vision of what everyday life with an adopted pet could look like. When you find “the one,” you’ll want to connect in-person as soon as possible. That’s why we rebuilt and redesigned both petfinder.com and pro.petfinder.com to make the process as streamlined as possible. A streamlined user-experience for potential adopters not only makes it easy to look for the right pet, but also makes the search fun by highlighting each animal’s unique personality. For adoption professionals, a clear dashboard and more efficient tools make it easy to manage and improve pet listings. Just in time for Petfinder’s 20th anniversary, we launched the new brand with a microsite, video, and social campaign using #MetOnPetfinder.